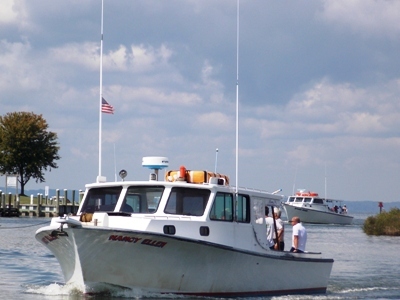 Tilghman Island is located on the Eastern Shore of Maryland, west of Easton and St. Michaels. The island is separated from the mainland by the Miles River, Choptank River, Knapps Narrows, and the Chesapeake Bay. The island is home to a number of restaurants, bed and breakfasts, charter boat operators, and tourism-related businesses. Many of the island’s residents engage in crabbing, oystering, and other forms of commercial fishing. Located on the main bay near Tilghman Island is Tilghman Island Artificial Reef. The reef site includes bridge rubble, bridge decking, granite, concrete pipes, and tire units. Tilghman Island is a popular destination for paddlesports enthusiasts. A variety of kayak launch sites, water trails, and guided tours are available.